Home » Posts » Mental health » dementia » Which (if any) drugs should we use for agitated or aggressive behaviour in dementia? This is a dilemma I frequently face when I am called out to see someone with dementia on the ward or living in a nursing home. On the one hand I am thinking that anything I use can potentially have serious side-effects and will probably lead to increased health risks and increased mortality. On the other hand I have a very distressed person and a very distressed group of caregivers. I know that very soon the situation will be unsustainable if I do nothing and I just rely on the carers’ coping skills. Screen for pain and delirium—I hear you say. You are right, of course. There have been a number of reviews looking into exactly that issue that show that this should be the first course of action (Cohen-Mansfield and Mintzer, 2005; Sink et al., 2005). Interpersonal and environmental factors can also play a role and should be ruled out (Sink et al., 2005). OK, so now I have done all that and I still have a very distressed person and carers at the end of their tether. Now is the time to break out those non-pharmacological strategies, right? Well, maybe. Not many staff members will know about them (Conn, 1992; Burns et al., 1993; Meeks, 1996; Reichman et al., 1998; Seitz et al., 2011), their effectiveness is modest (Seitz et al., 2012), and patients may not cooperate (Cohen-Mansfield et al., 2012). 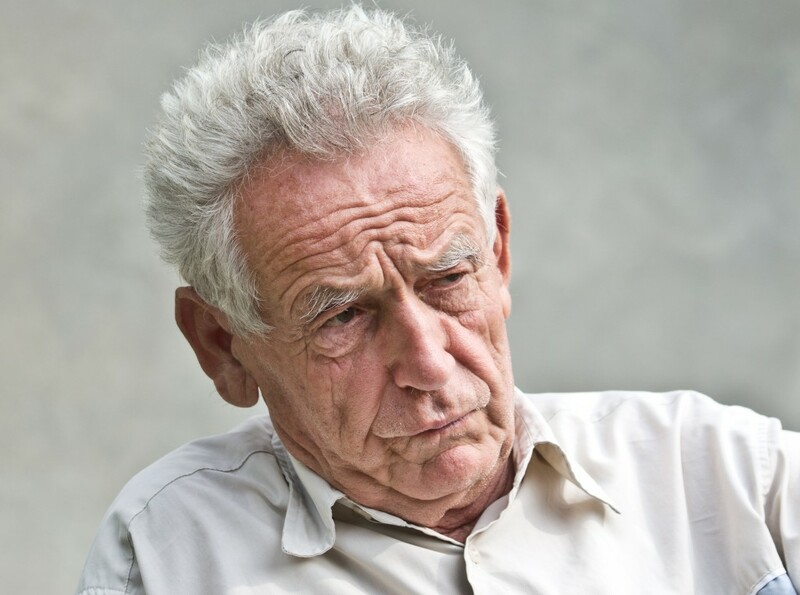 Eight in 10 people with dementia will have neuropsychiatric symptoms (Zuidema et al., 2007; Seitz et al. 2010) which means contemplating using medication in quite a few cases. Do no harm, right? Clearly, the question we need to answer is: What is the most effective, least harmful medication, for agitated or aggressive people with dementia? What is the most effective, least harmful medication, for agitated or aggressive people with dementia? Dallas Seitz from Geriatric Psychiatry Services, Providence Care – Mental Health Service in Ontario, Canada, and colleagues have published a review to try to answer that question (Seitz et al. 2013). They looked through MEDLINE, EMBASE, PsychINFO, the Cochrane Library for randomised controlled trials comparing medications with either placebo or other interventions. They also used Google Scholar as an additional search tool. On top of this, they hand searched a number of local databases and looked through references in Canadian guidelines. They used the Cochrane Collaboration risk of bias tool to measure the quality of studies and they evaluated the efficacy of medication using neuropsychiatric symptom severity rating scales. They looked at trial withdrawals, trial withdrawals due to adverse events, and mortality as measures of safety. Using this method they identified 7,310 potential articles, of which 315 full-text references were screened for eligibility yielding a total of 29 studies included in the final synthesis. Of those 29 studies most (15) were on antipsychotics, including risperidone (6), olanzapine (4), quetiapine (3) and aripiprazole (3). Table 1 summarises the results. There were 3 studies on cholinesterase inhibitors, one on donepezil and 2 on rivastigmine. Unfortunately all the rivastigmine trials had antipsychotics as their controls. Table 2 summarises the results. There were 4 studies on anticonvulsants, two on divalproex, one on carbamazepine and 1 on oxcarbamazepine. There were no trials of antidepressants versus placebo in the review. The only trial found compares Sertraline to Haloperidol and finds no difference between the treatments in terms of benefits or adverse events. Seven studies probing a variety of other drugs also made it into the review. The summary is on table 4 below. Overall risperidone, olanzapine, and aripiprazole may be of benefit although the effect was small and not consistent across all trials. There were additional single small positive studies with carbamazepine, estrogen, cyproterone acetate, propranolol, and prazosin. The effects sizes tended to be very small and only a few studies reported clinically relevant outcomes such as symptom remission. Trial withdrawals tended to be more frequent with those treatments that showed any efficacy. From other evidence we know that antipsychotics increase the risk of death (Schneider et al., 2005) and cerebrovascular events (Herrmann and Lanctot, 2005). Antipsychotics also increase somnolence (Schneider et al., 2006a), falls (Hien Le et al., 2005), and fall-related injuries including hip fractures (Jalbert et al., 2010). There is also increasing evidence that they may accelerate cognitive and functional decline in older adults with dementia (Vigen et al., 2011). The main limitations of the review were the use of only English-language studies and that many articles were sponsored by pharmaceutical companies. The paper had some strengths as well. They evaluated randomised controlled trials and they looked at long term care populations. The authors assessed study quality and identified potential sources of bias in the primary studies. It was also useful to have an analysis of the safety as well as the efficacy of the treatments. What should I do after reading this to help my distressed patient and overwhelmed carers? From reading this review it is clear that much remains unknown about the efficacy of these agents and also the need for direct comparisons between non-pharmacological and pharmacological interventions. Seitz, D. P et al. (2013). Pharmacological treatments for neuropsychiatric symptoms of dementia in long-term care: a systematic review. International Psychogeriatrics (2013), 25:2, 185–203. Ballard, C. et al. (2005). Quetiapine and rivastigmine and cognitive decline in Alzheimer’s disease: randomised double blind placebo controlled trial. British Medical Journal, 330, 874. Barnes, R., Veith, R. and Okimoto, J. (1982). Efficacy of antipsychotic medications in behaviorally disturbed dementia patients. American Journal of Psychiatry, 139, 1170–1174. Brodaty, H. et al. (2003). A randomized placebo-controlled trial of risperidone for the treatment of aggression, agitation, and psychosis of dementia. Journal of Clinical Psychiatry, 64, 134–143. Burns, B. J., Wagner, H. R., Taube, J. E., Magaziner, J., Permutt, T. and Landerman, L. R. (1993). 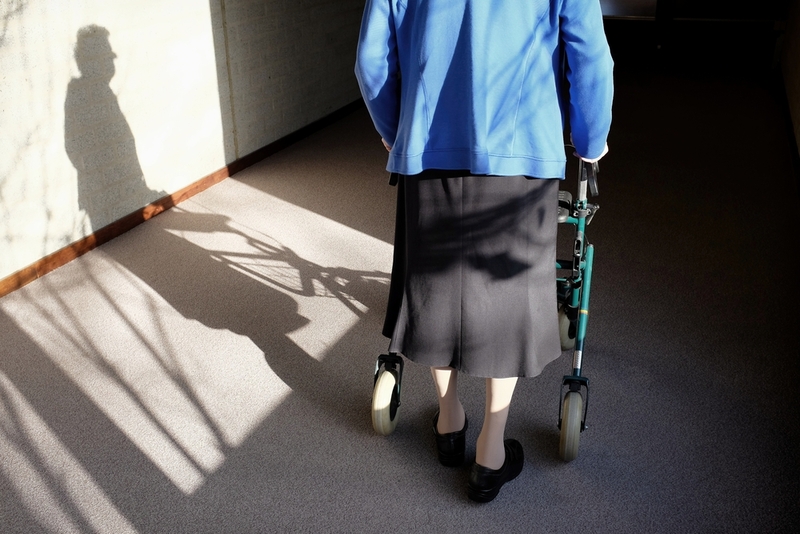 Mental health service use by the elderly in nursing homes. American Journal of Public Health, 83, 331–337. Cantillon, M., Brunswick, R., Molina, D. and Bahro, M. (1996). Buspirone vs. haloperidol: a double- blind trial for agitation in a nursing home population with Alzheimer’s disease. American Journal of Geriatric Psychiatry, 4, 263–267. Cohen-Mansfield, J. and Mintzer, J. E. (2005). Time for change: the role of nonpharmacological interventions in treating behavior problems in nursing home residents with dementia. Alzheimer Disease and Associated Disorders, 19, 37–40. Cohen-Mansfield, J., Thein, K., Marx, M. S. and Dakheel-Ali, D. (2012). What are the barriers to performing nonpharmacological interventions for behavioral symptoms in the nursing home? Journal of the American Medical Directors Association, 13, 400–405. Conn, D. K. (Ed.). (1992). Mental health issues in long-term care facilities. In Practical Psychiatry in the Nursing Home: A Handbook for Staff. Ashland, OH: Hogrefe and Huber Publishers. De Deyn, P. P. et al. (1999). A randomized trial of risperidone, placebo, and haloperidol for behavioural symptoms of dementia. Neurology, 53, 946–955. De Deyn, P. P. et al. (2004). Olanzapine versus placebo in the treatment of psychosis with or without associated behavioral disturbances in patients with Alzheimer’s disease. International Journal of Geriatric Psychiatry, 19, 115–126. Declercq T. et al. (2013). Withdrawal versus continuation of chronic antipsychotic drugs for behavioural and psychological symptoms in older people with dementia. Cochrane Database Systematic Reviews. March 28, CD007726. Fontaine, C. S., Hynan, L. S., Koch, K., Martin-Cook, K., Svetlik, D. and Weiner, M. F. (2003). A double- blind comparison of olanzapine versus risperidone in the acute treatment of dementia-related behavioural disturbances in extended care facilities. Journal of Clinical Psychiatry, 64, 726–730. Gehrman, P. R., Connor, D. J., Martin, J. L., Shochat, T., Corey-Bloom, J. and Ancoli-Israel, S. (2009). Melatonin fails to improve sleep or agitation in double-blind randomized placebo-controlled trial of institutionalized patients with Alzheimer disease. American Journal of Geriatric Psychiatry, 17, 166– 169. Hall, K. A., Keks, N. A. and O’Connor, D. W. (2005). Transdermal estrogen patches for aggressive behavior in male patients with dementia: a randomized, controlled trial. International Psychogeriatrics, 17, 165–178. Herrmann, N. and Lanctot, K. L. (2005). Do atypical antipsychotics cause stroke? CNS Drugs, 19, 91– 103. Hien Le, T. T. et al. (2005). Aytypical antipsychotic medications and risk of falls in residents of aged care facilities. Journal of the American Geriatrics Society, 53, 1290–1295. Holmes, C. et al. (2007). Risperidone and rivastigmine and agitated behaviour in severe Alzheimer’s disease: a randomised double blind placebo controlled study. International Journal of Geriatric Psychiatry, 22, 380–381. Huertas, D. et al. (2007). Antiaggressive effect of cyproterone versus haloperidol in Alzheimer’s disease: a randomized double-blind pilot study. Journal of Clinical Psychiatry, 68, 439–444. Jalbert, J. J., Eaton, C. B., Miller, S. C. and Lapane, K. L. (2010). Antipsychotic use and the risk of hip fracture among older adults afflicted with dementia. Journal of the American Medical Directors Association, 11, 120–127. Katz, I. R., Jeste, D. V., Mintzer, J. E., Clyde, C., Napolitano, J. and Brecher, M. (1999). Comparison of risperidone and placebo for psychosis and behavioural disturbances associated with dementia: a randomized, double-blind trial. Risperidone Study Group. Journal of Clinical Psychiatry, 60, 107–115. Kyomen, H. H., Satlin, A., Hennen, J. and Wei, J. Y. (1999). Estrogen therapy and aggressive behavior in elderly patients with moderate-to-severe dementia. Results from a short-term, randomized, double-blind trial. American Journal of Geriatric Psychiatry, 7, 339–348. Lanctot, K. L. et al. (1998). Efficacy and safety of neuroleptics in behavioral disorders associated with dementia. Journal of Clinical Psychiatry, 59, 550–561; quiz 562–563. Meeks, S. (1996). Psychological consultation to nursing homes: description of a six-year practice. Psychotherapy, 33, 19–29. Mintzer, J. et al. (2006). Risperidone in the treatment of psychosis of Alzheimer disease: results from a prospective clinical trial. American Journal of Geriatric Psychiatry, 14, 280–291. Mintzer, J. E. et al. (2007). Aripiprazole for the treatment of psychoses in institutionalized patients with Alzheimer dementia: a multicenter, randomized, double-blind, placebo-controlled assessment of three fixed doses. American Journal of Geriatric Psychiatry, 15, 918–931. Peskind, E. R. et al. (2005). Propranolol for disruptive behaviors in nursing home residents with probable or possible Alzheimer disease: a placebo-controlled study. Alzheimer Disease and Associated Disorders, 19, 23–28. Porsteinsson, A. P. et al. (2001). Placebo-controlled study of divalproex sodium for agitation in dementia. American Journal of Geriatric Psychiatry, 9, 58–66. Rappaport, S. A., Marcus, R. N., Manos, G., McQuade, R. D. and Oren, D. A. (2009). A randomized, double-blind, placebo-controlled tolerability study of intramuscular aripiprazole in acutely agitated patients with Alzheimer’s, vascular, or mixed dementia. Journal of the American Medical Directors Association, 10, 21–27. Reichman, W. E. et al. (1998). Psychiatric consultation in the nursing home: a survey of six states. American Journal of Geriatric Psychiatry, 6, 320–327. Rochon, P. A. et al. (2007). Variation in nursing home antipsychotic prescribing rates. Archives of Internal Medicine, 167, 676–683. Schneider, L. S., Dagerman, K. S. and Insel, P. (2005). Risk of death with atypical antipsychotic drug treatment for dementia: meta-analysis of randomized placebo-controlled trials. Journal of the American Medical Association, 294, 1934–1943. Schneider, L. S., Dagerman, K. and Insel, P. S. (2006a). Efficacy and adverse effects of atypical antipsychotics for dementia: meta-analysis of randomized, placebo-controlled trials. American Journal of Geriatric Psychiatry, 14, 191–210. Seitz, D., Adenuri, N., Gill, S. S., Gruneir, A., Herrmann, N. and Rochon, P. A. (2011). Antidepressants for psychosis and agitation in dementia. Cochrane Database of Systematic Reviews, February 16, CD008191. Seitz, D. P. et al. (2012). Efficacy and feasibility of non-pharmacological interventions for neuropsychiatric symptoms of dementia in long-term care: a systematic review. Journal of the American Medical Directors Association, 13, 503–506.e2. Sink, K. M.,Holden, K. F. and Yaffe, K. (2005). Pharmacological treatment of neuropsychiatric symptoms of dementia: a review of the evidence. Journal of the American Medical Association, 293, 596–608. Sommer, O. H., Aga, O., Cvancarova, M., Olsen, I. C., Selbaek, G. and Engedal, K. (2009). Effect of oxcarbazepine in the treatment of agitation and aggression in severe dementia. Dementia and Geriatric Cognitive Disorders, 27, 155–163. Street, J. S. et al. (2000). Olanzapine treatment of psychotic and behavioral symptoms in patients with Alzheimer disease in nursing care facilities: a double-blind, randomized, placebo-controlled trial. Archives of General Psychiatry, 57, 968–976. Streim, J. E. et al. (2008). A randomized, double-blind, placebo-controlled study of aripiprazole for the treatment of psychosis in nursing home patients with Alzheimer disease. American Journal of Geriatric Psychiatry, 16, 537–550. Sultzer, D. L. et al. (2008). Clinical symptom responses to atypical antipsychotic medications in Alzheimer’s disease: phase 1 outcomes from the CATIE-AD effectiveness trial. American Journal of Psychiatry, 165, 844–854. Sutor, B., Rummans, T. A. and Smith, G. E. (2001). Assessment and management of behavioral disturbances in nursing home patients with dementia. Mayo Clinic Proceedings, 76, 540–550. Tariot, P. N. et al. (1998). Efficacy and tolerability of carbamazepine for agitation and aggression in dementia. American Journal of Psychiatry, 155, 54–61. Tariot, P. N. et al. (2001). A randomized, double-blind, placebo-controlled study of the efficacy and safety of donepezil in patients with Alzheimer’s disease in the nursing home setting. Journal of the American Geriatrics Society, 49, 1590–1599. Tariot, P. N. et al. (2005). Divalproex sodium in nursing home residents with possible or probable Alzheimer disease complicated by agitation: a randomized, controlled trial. American Journal of Geriatric Psychiatry, 13, 942–949. Tariot, P. N. et al. (2006). Quetiapine treatment of psychosis associated with dementia: a double- blind, randomized, placebo-controlled clinical trial. American Journal of Geriatric Psychiatry, 14, 767–776 [Erratum: (2006). American Journal of Geriatric Psychiatry, 14, 988]. Verhey, F. R. J., Verkaaik,M. and Lousberg, R. (2006). Olanzapine versus haloperidol in the treatment of agitation in elderly patients with dementia: results of a randomized controlled double-blind trial. Dementia and Geriatric Cognitive Disorders, 21, 1–8. Vestergaard, P., Rejnmark, L. and Mosekilde, L. (2006). Anxiolytics, sedatives, antidepressants, neuroleptics and the risk of fracture. Osteoporosis International, 17, 807–816. Vigen, C. L. et al. (2011). Cognitive effects of atypical antipsychotic medications in patients with Alzheimer’s disease: outcomes from CATIE-AD. American Journal of Psychiatry, 168, 831–839. Wang, L. Y. et al. (2009). Prazosin for the treatment of behavioral symptoms in patients with Alzheimer disease with agitation and aggression. American Journal of Geriatric Psychiatry, 17, 744– 751. Zhong, K. X., Tariot, P. N., Mintzer, J., Minkwitz, M. C. and Devine, N. A. (2007). Quetiapine to treat agitation in dementia: a randomized, double-blind, placebo-controlled study. Current Alzheimer Research, 4, 81–93. Zuidema, S., Koopmans, R. and Verhey, F. (2007). Prevalence and predictors of neuropsychiatric symptoms in cognitively impaired nursing home patients. Journal of Geriatric Psychiatry and Neurology, 20, 41–49. Thank you for this detailed and thoughtful debut blog. This is such a complex area and one where, as you say, the evidence just isn’t strong enough to support any one course of action. Do you think it’s worth covering this in a follow-up blog? @Mental_Elf @ALOISCommunity @josephine_n @DocMartin68 what outcome measures r u all using on your dementia pathway ? @Mental_Elf @ALOISCommunity @DocMartin68 Worthwhile paper to look at. Very important not to gloss over non-pharmacological interventions. @josephine_n @Mental_Elf @ALOISCommunity Don’t you think that’s often what happens in practice, though – due to lack of man-power? @DocMartin68 @josephine_n @Mental_Elf @ALOISCommunity So easy to trial B12 injections for dementia. Test miss 50% of B12d. Where the harm? @DocMartin68 @josephine_n @Mental_Elf @ALOISCommunity << the perfect trial. 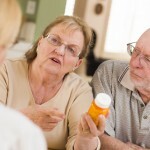 How can dementia patient have placebo effect? Would forget! @Mental_Elf @ALOISCommunity @DocMartin68 Surprised that Carbamazepine did not come out better, as that is used frequently where I work. Sad thing is a) people want a magic bullet, b) it seems many care home owners do not want to invest in the non-pharmacological approaches and c) research monies also seem to be heavily weighted towards pharmacological interventions. Benzodiazepines PRN rather than anti-psychotics I would say as they can double up as a pain-killer? @Mental_Elf they always outweigh the ‘benefits’. @Mental_Elf excellent blog Elf. This is why I follow you elvish/elfin folk! Difficult decision making every day in MH. This is but a part! 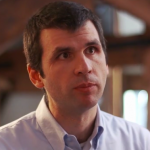 Ian James Kidd discusses pathophobia – we seem to be prescribing for carers or ourselves. Pathophillia would enable a dementia friendly approach. This is the paradox, the more I read about the ineffectiveness if treatment, the more i cope in denial. Our chemical cosh helps carers, practitioners and Society, but not it seems our patients.